10:00 AM - 5:00 PM Friday-Sunday. The McCoy House Museum may be closed Mon.-Thur. Park Restrooms Open 10am-Dusk; Concession Restrooms may be open longer. Museums are closed Thanksgiving, Christmas, & New Years Day. The park is located on San Diego Avenue and Twiggs Street in San Diego. Old Town San Diego State Historic Park is full of life this Spring season. Come see our historic house gardens which are in full bloom after all the rain! The National Society of the Colonial Dames of America, San Diego Committee, in conjunction with Old Town San Diego State Historic Park, have received the Lamar Award for Excellence from the Colonial Dames of America's national headquarters in Washington, D.C. for their collaboration on the new exhibits in the Casa de Estudillo. To see more about this honor, please click here. Old Town San Diego State Historic Park offers free walking tours every day at 11 AM and 2 PM. Inquire for more information at the Robinson-Rose Visitor Information Center. We are hiring! 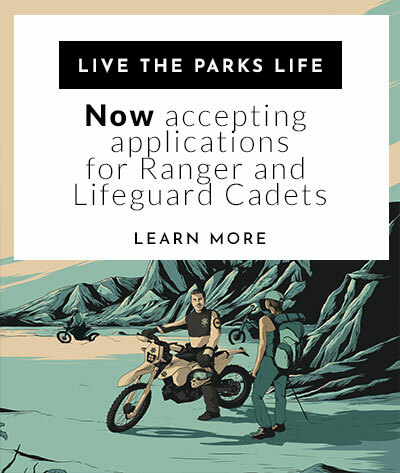 If you are interested in a job with California State Parks, CLICK HERE for information on this opportunity. Old Town San Diego State Historic Park is now operating on our winter hours! Our museums are open from 10 AM until 4 PM Monday through Thursday and 5 PM Friday through Sunday. Click here for the 2019 Special Events Calendar. For more information, click here to visit our Special Events page! Having problems finding parking? The Caltrans parking lot is open to the public after 5 pm during the week and all day on the weekends. Just in case you need a helping hand finding the lot, here is a map to help. Learn about life in the Mexican and early American periods of 1821 to 1872. Even today, life moves more slowly in this part of San Diego, where the hustle and bustle is balanced with history and fiestas. Visitors are offered a glimpse into yesteryear, as converging cultures transformed San Diego from a Mexican pueblo to an American settlement. San Diego became California's first Spanish settlement when a mission and fort were established here in 1769. Later, it passed into the hands of the newly made Mexican government before gaining statehood in the United States after the Mexican-American War. The core of restored original historic buildings from the interpretive period are complemented by reconstructed sites, along with early twentieth century buildings designed in the same mode. Five original adobe buildings are part of the historic park, which include museums, unique retail shops, and several restaurants. The Historic Plaza remains a special place for gatherings and historic activities. Visitors can also experience a working blacksmith shop, enjoy music, see or touch the park's burros, and engage in activities that represent early San Diego. 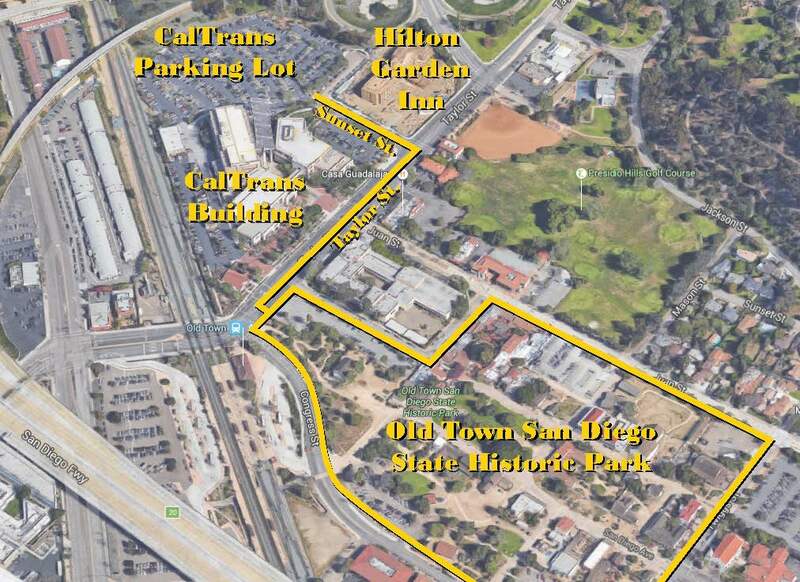 A map of all the parking in and around Old Town San Diego State Historic Park.